If you have any questions about the FORTUNATE SUN information page below please contact us. 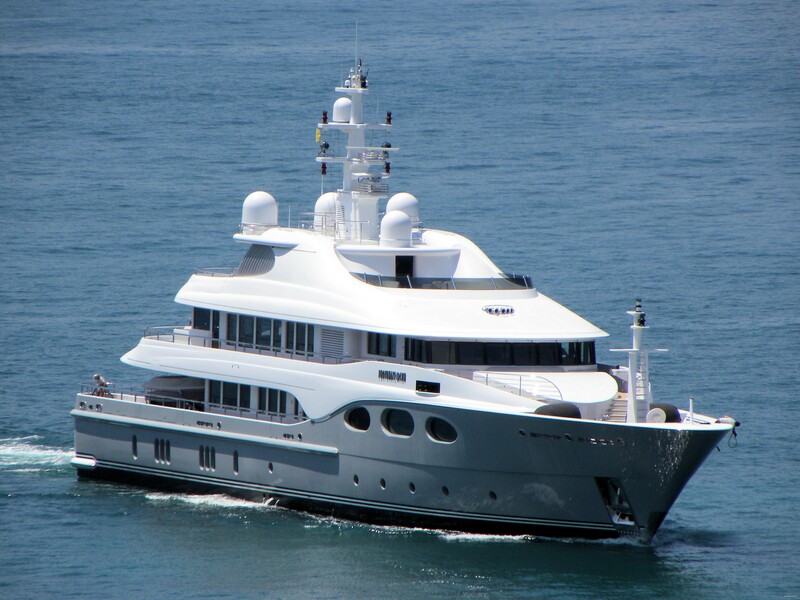 The motor yacht FORTUNATE SUN is a 54 m 177 (ft) impressive steel vessel which was created at Oceanfast (Austal) and designed by Oceanfast and Tim Heywood. 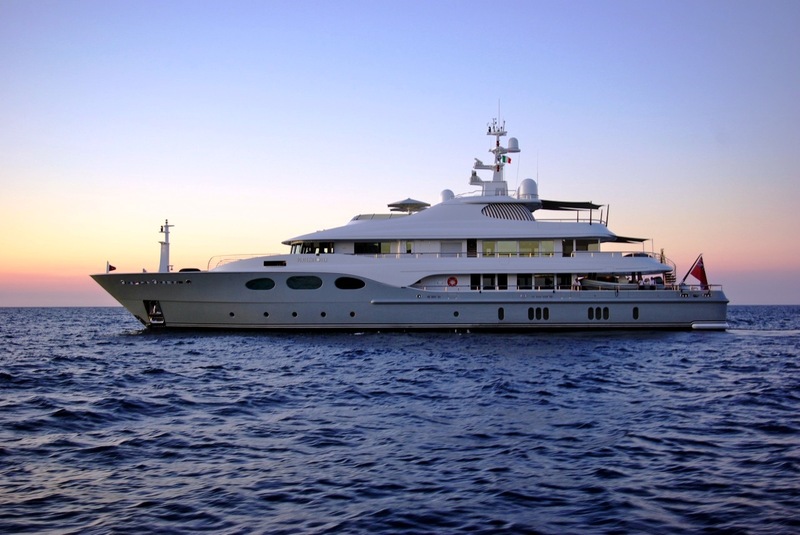 Sleeping 10 passengers and 12 qualified crew, motor yacht FORTUNATE SUN used to be Perfect Prescription which was her project name and/or yacht title. Ready for launch in 2003 the recent interior design reflects the endowment emanating from the boards of Tim Heywood. 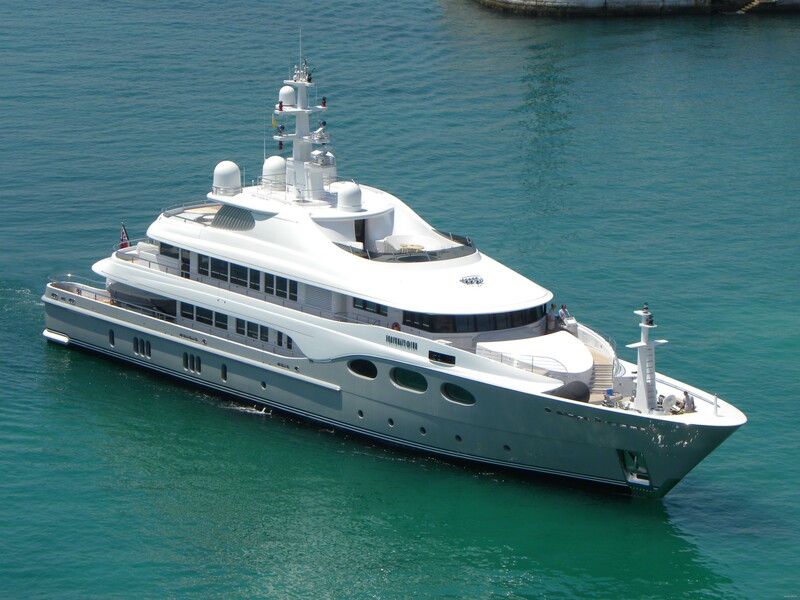 M/Y FORTUNATE SUN (ex Perfect Prescription) was commissioned for a New Yorker in the pharmaceutical business. 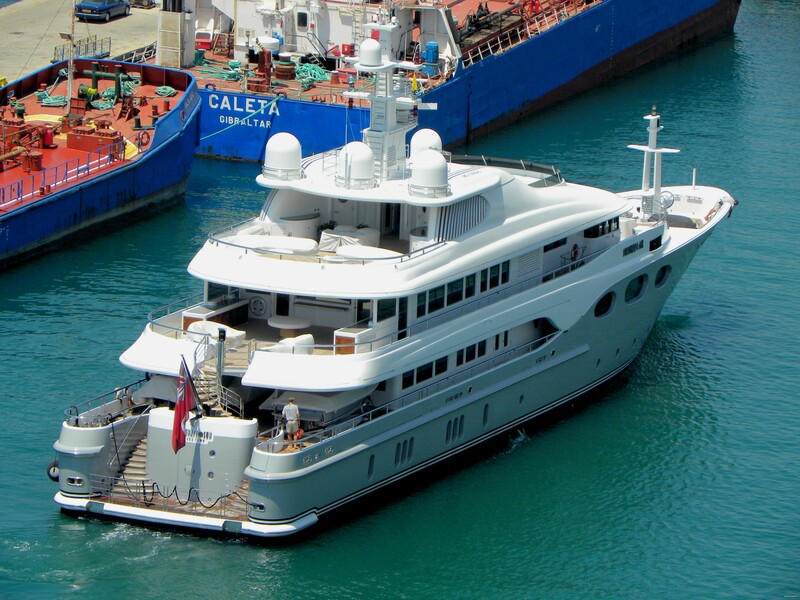 The motor yacht can be easily recognised with her grey hull and white superstructure. 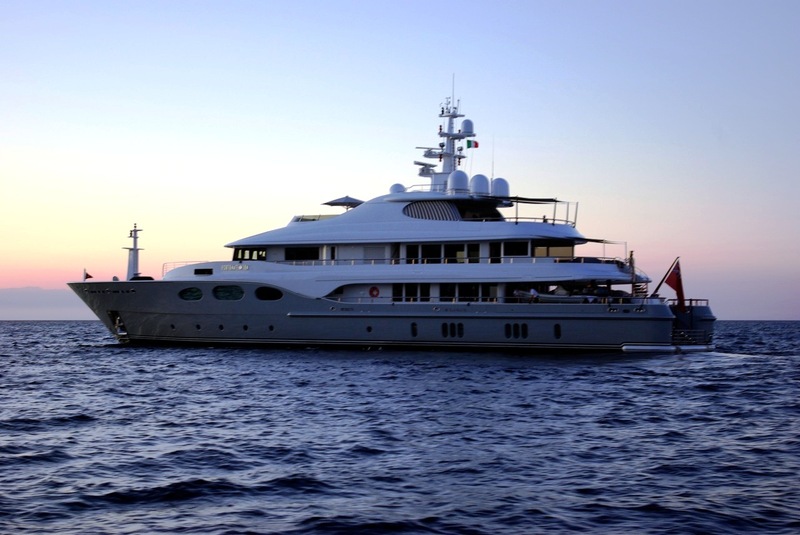 Oceanfast was the naval architect involved in the technical superyacht composition for FORTUNATE SUN. Her interior design was conceived by Tim Heywood. Oceanfast and Tim Heywood is also associated with the yacht general design work for this yacht. In 2003 she was actually launched with triumph in Fremantle and following sea trials and detailing was thereafter passed on to the yacht owner. Oceanfast (Austal) completed their new build motor yacht in Australia. The hull was constructed with steel. The motor yacht superstructure is fabricated largely from aluminiumandgrp. With a beam of 10.21 metres / 33.5 ft FORTUNATE SUN has spacious room. A fairly shallow draught of 2.74m (9ft) limits the number of worldwide marinas she can berth in, depending on their individual depth at low tide. She had refit maintenance and alteration work undertaken in 2008. Installed with twin MTU diesel main engines, FORTUNATE SUN will attain a maximum speed of 18 knots. Connected to her MTU engine(s) are twin screw propellers. Her total HP is 4730 HP and her total Kilowatts are 3481. For bow thruster maneuverability she was built with Schottel. 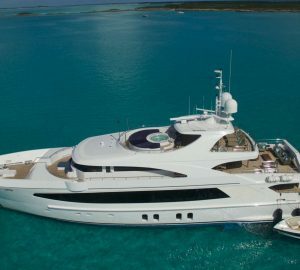 The substantial luxury yacht M/Y FORTUNATE SUN can accommodate up to 10 passengers and has 12 crew members. Mtu 2 times 275 kilowatts. In October 2009 FORTUNATE SUN cruised to Cascais, in Portugal. This motor yacht also traveled the area encompassing Lisboa during Sept 2009. Heinen & Hopman is the company that installed the air conditioning system on this vessel. She has a teak deck. 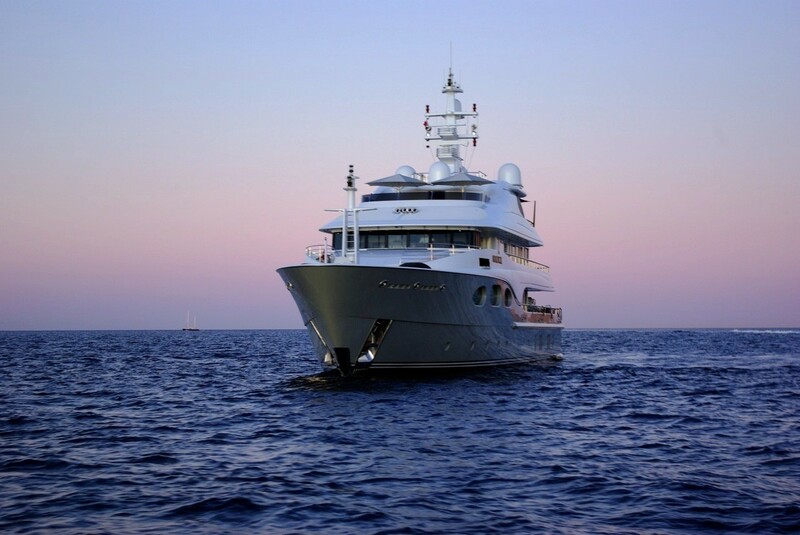 The luxury yacht FORTUNATE SUN displayed on this page is merely informational and she is not necessarily available for yacht charter or for sale, nor is she represented or marketed in anyway by CharterWorld. This web page and the superyacht information contained herein is not contractual. All yacht specifications and informations are displayed in good faith but CharterWorld does not warrant or assume any legal liability or responsibility for the current accuracy, completeness, validity, or usefulness of any superyacht information and/or images displayed. All boat information is subject to change without prior notice and may not be current.